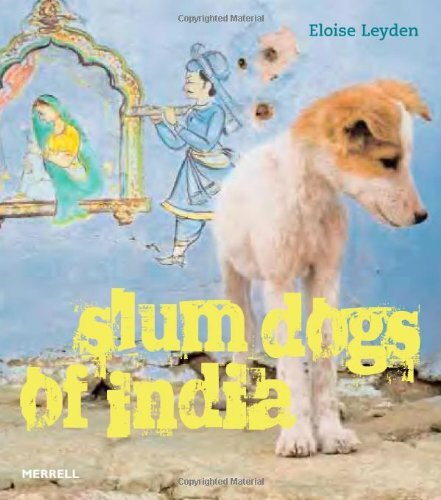 When photographer Eloise Leyden spent a year travelling around India, she became fascinated not only by the vibrant beauty of the land and the warmth of its people, but also by the country's sizeable population of stray dogs. Leyden's empathy with animals is captured perfectly in this colourful, touching collection of images of dogs roaming the bustling city streets, scavenging in markets, basking on sandy beaches and sleeping just about anywhere. Different aspects of the dogs' daily life are chronicled: a sadhu feeds an eager pack of street dogs in Rishikesh, while a puppy begs patiently for scraps from a customer at a food stall in Varanasi and, in Calcutta, a small gang snoozes peacefully together on a pile of sandbags. Leyden, who undertook voluntary work for several animal charities during her travels, reveals the close bond that often develops between the dogs and their fellow street dwellers - humans and animals alike - and documents the efforts of individuals and groups to promote the welfare of the strays.